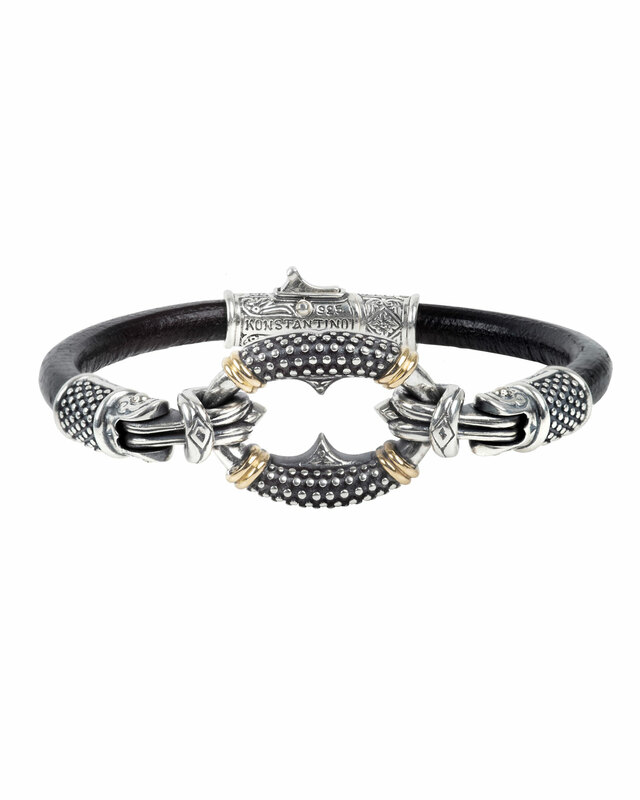 John Hardy braided leather bracelet. Solid sterling silver eagle head; chalcedony stone in eye. 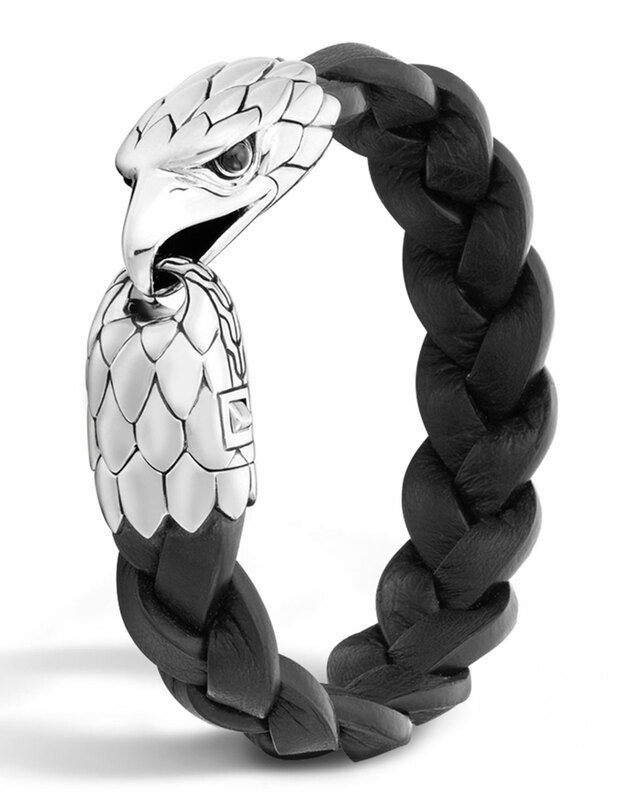 John Hardy wrap bracelet from the Legends Eagle collection. The unique feather motif of this cuff commands a sophisticated and refined appeal. Individually handcrafted in Turkey of a substantial sterling silver, it’s a prime illustration of the union between art and craft. 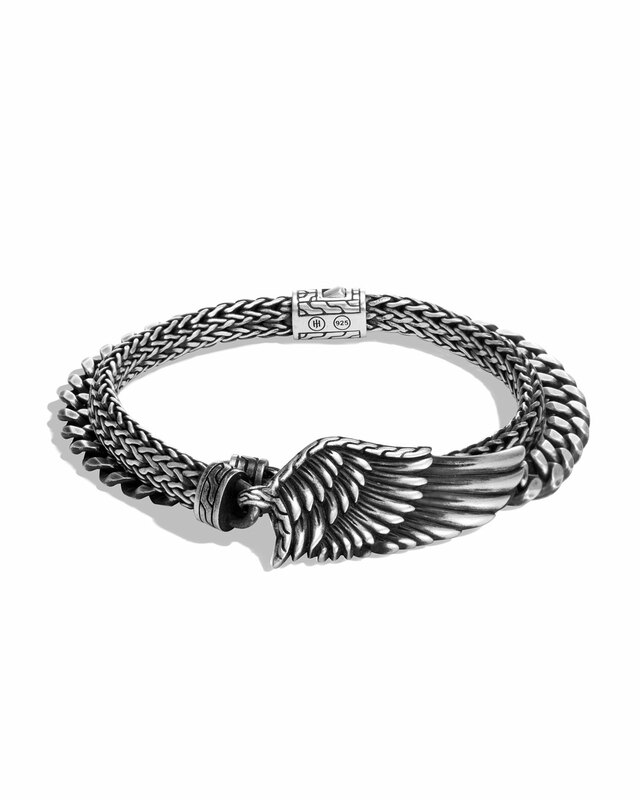 John Hardy men’s bracelet from the Classic Chain Collection. Satin matte black rhodium platting. 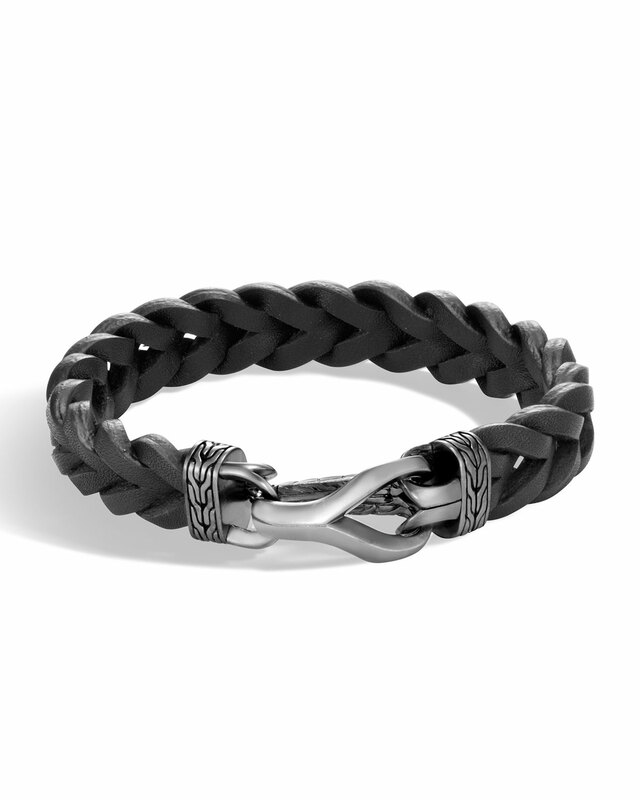 Black leather men’s Konstantino bracelet. Oval center charm with 18-karat gold trim. 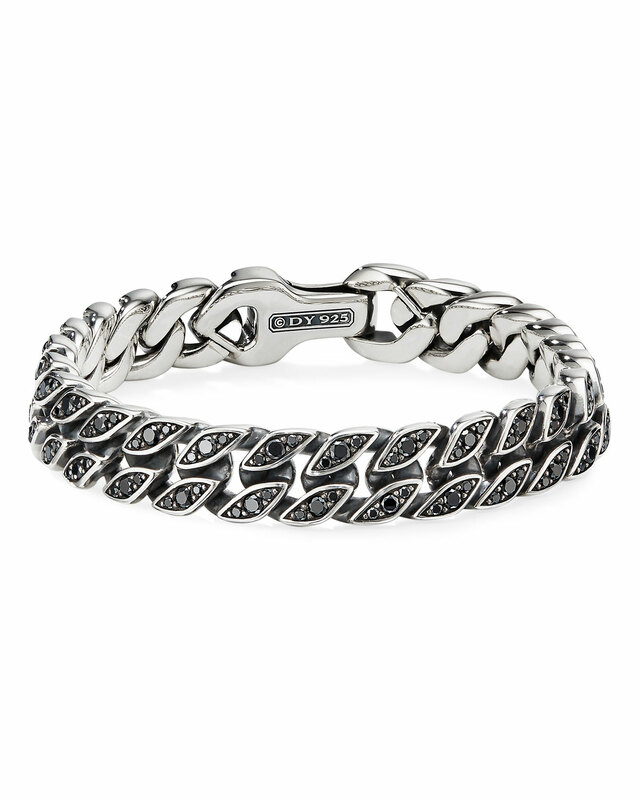 David Yurman men’s curb chain bracelet in sterling silver. Pavé black diamonds, 4.87 total carat weight. Sterling silver-dipped brass chain-link bracelet. Logo-engraved keyring at length. Lanyard-clasp fastening. Approx. 8″ length. Chain-link bracelet in sterling silver. Carved detailing with 0.26kt black diamonds at face. Logo plaque at lobster clasp fastening. Approx. 7″ length.